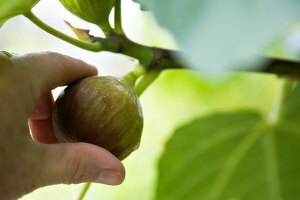 When fig trees begin to produce fruit, it is easy to find yourself overwhelmed with the large number of figs. 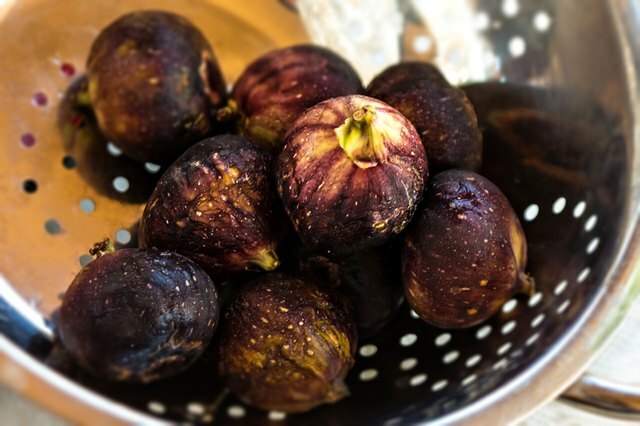 While figs can be canned or frozen, one of the easiest methods of preserving the harvest is dehydration. 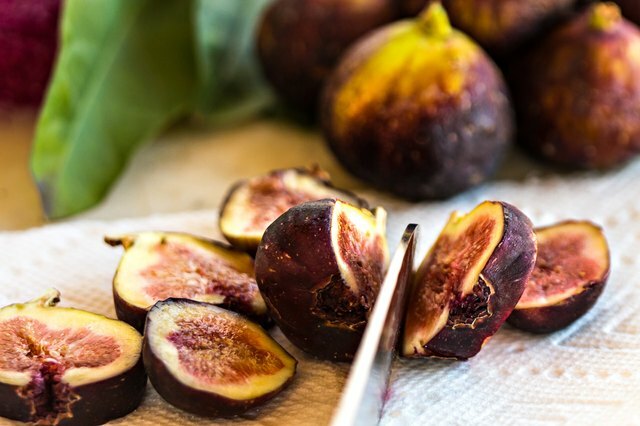 Unlike many fruits, figs need little preparation before they are ready for the dehydrator trays. Once the figs are dried, they can be stored in airtight containers or sealed storage bags until needed. Dried figs are easily reconstituted by soaking in hot water. Combine 2 1/2 tsp. ascorbic acid and 1 quart water in a large bowl, mixing to dissolve the ascorbic acid completely. This solution will prevent browning of the figs and will treat 10 quarts or approximately 20 lbs. 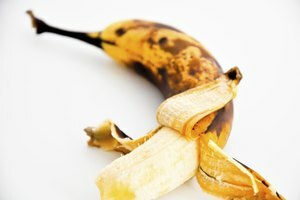 of fruit. Wash fully ripe figs under cold water or clean them with moist paper towels. Cut figs into 1/4 inch slices. 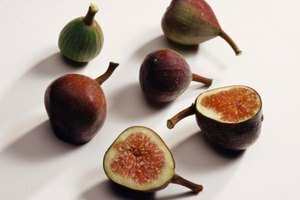 If the figs are small, cut the figs in half. 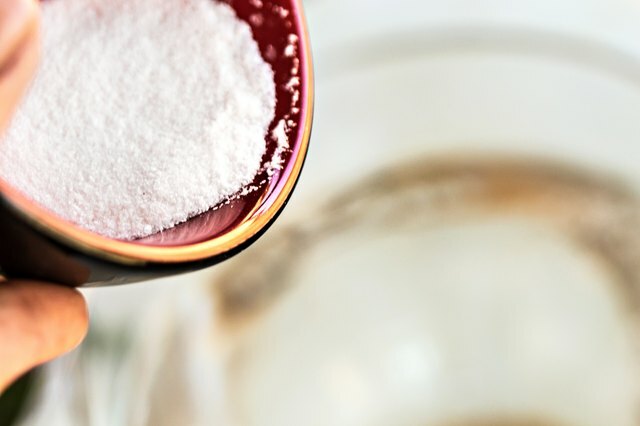 Place the slices or halves into the ascorbic acid solution and let them soak for 10 minutes. Lay the slices in single layers on dehydrator trays. Assemble the trays in the dehydrator and dry for 12 to 24 hours or until the figs are pliable, yet leathery. 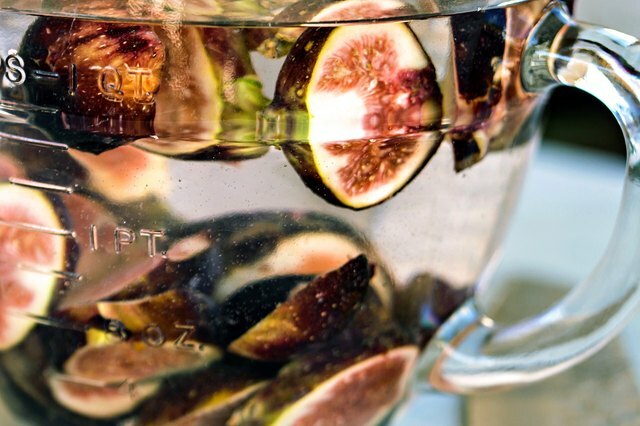 You can dry small or partially dried figs by dipping them into boiling water for 30 seconds to break the skins. 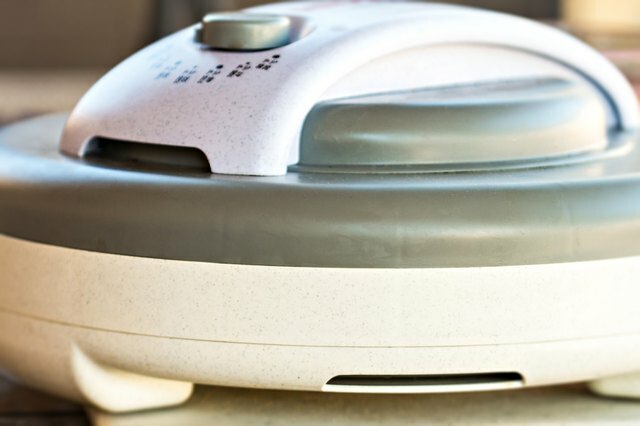 This allows the fruit to dry evenly in the dehydrator. 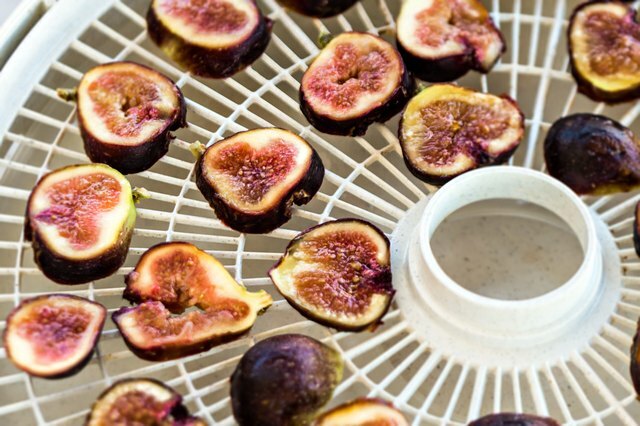 Dehydrated figs will keep for up to a year if stored in a cool, dry place. 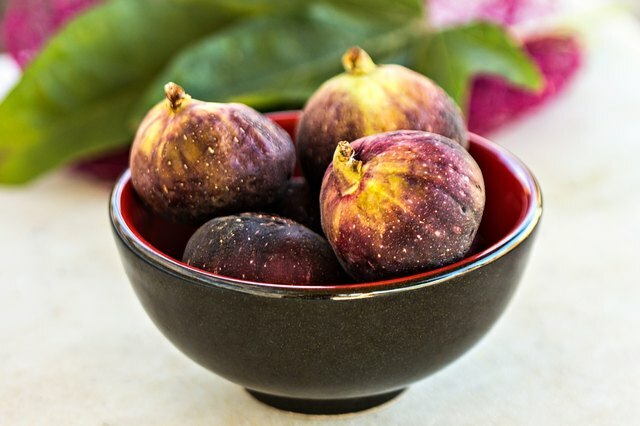 Rehydrate the figs by placing them in a large bowl and covering with hot, boiling water. The reconstitution time may take up to 8 hours for the figs to reabsorb the needed moisture. The only limit on the amount of figs you can dry at a time is the size of your dehydrator model of. Some machines can only do a 1 or 2 lbs. at a time, while others can handle 5 lbs. or more.